From the wake up call department... 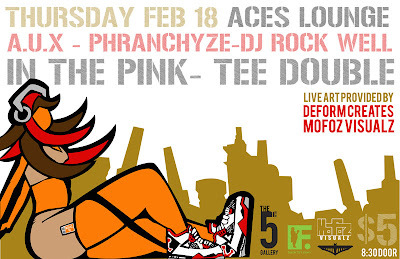 In the Pink @ Aces Lounge tomorrow night, Feb 18th! Also in the house, Phranchyze, Tee Double, A.U.X. and DJ Rock Well.